Enjoy our Abu Dhabi City Guide for Babymooners with our Top 5 of Things to do on your Abu Dhabi Babymoon. 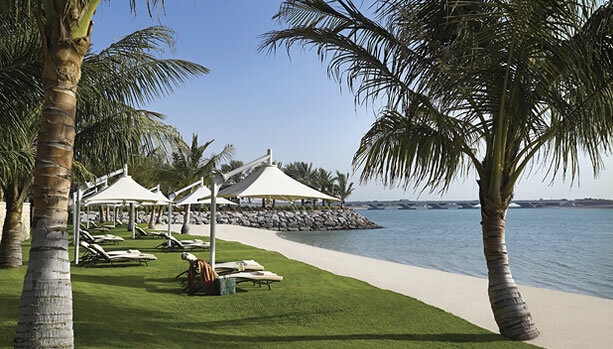 at the award-winning Shangri-La Hotel, Qaryat Al Beri, on a one-kilometre stretch of private beach overlooking the strait that separates Abu Dhabi Island from the mainland. The hotel is conveniently located next to a souk, a traditional Arabian market built in a modern setting offering a variety of shops under one roof. 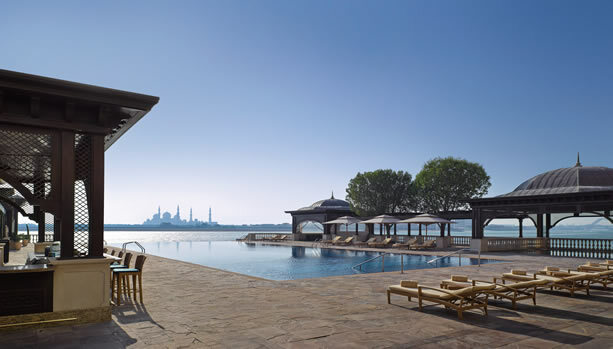 Shangri-La Hotel, Qaryat Al Beri, Abu Dhabi is home to the award-winning CHI, The Spa at Shangri-La, glamorous fine-dining, a rooftop pool and a private beach. 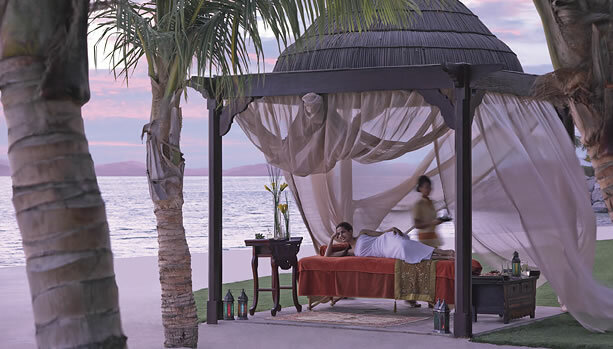 with a Spa Credit of USD 100 to use at CHI, The Spa at Shangri-La Hotel, Qaryat Al Beri. CHI, The Spa at Shangri-La draws inspiration from the origins of the Shangri-La legend, a place of personal peace, enchantment and well-being. All massages and treatments are based on authentic natural healing methods found in traditional well-being practices shared by many Asian cultures. Indulge yourself in CHI’s ancient healing philosophies and rituals to relax and rejuvenate both your body and mind. A speciality massage such as the Mother to Be Massage is one to be remembered and well-deserved for mum to be. Tailored specifically to the needs of mothers-to-be and their changing bodies, this treatment is administered by therapists who are trained to adjust their techniques to each guest’s personal needs to reduce stress and promote overall wellness. CHI, The Spa recommends speaking to the Spa Therapist prior to the treatment to get a personalised advice on the most suitable treatment. A whimsical place for an unforgettable pre-birth shopping spree. 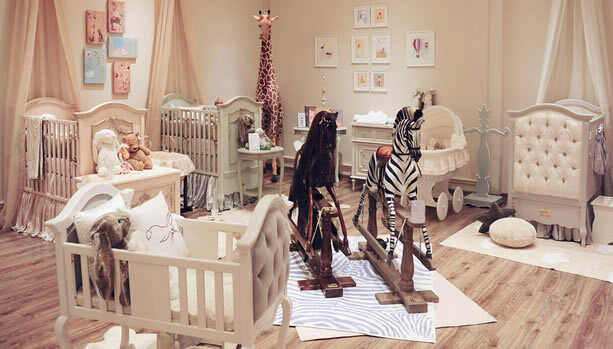 Here you will find anything from custom baby and children’s nursery and room furniture, luxurious bedding and accessories, toys, skincare products, impeccably tailored clothing, and personalised gifts. You will be spoilt for choice. Children’s Lane is also the only Abu Dhabi retailer of the Paris baby carré brand Atelier Choux. Atelier Choux is BabyMoon’s preferred BabyMoon® Survey partner and brand. Nest for Kids offers you an exquisite shopping experience from outstanding brands. Focussed on trendy, high-quality products that create a sense of comfort for you, your baby and your home. 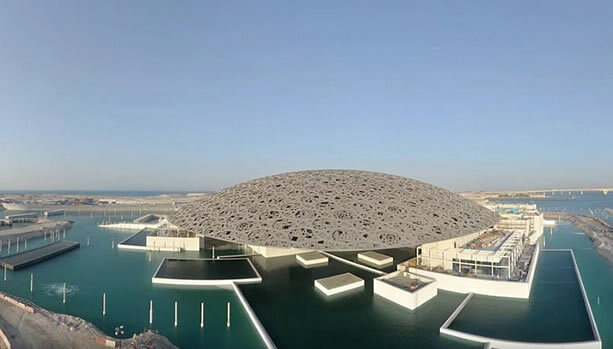 The newly opened Louvre Abu Dhabi is the first museum of its kind in the Arab world. Louvre Abu Dhabi is a universal museum that is a cultural beacon, bringing together different cultures to shine fresh light on the shared stories of humanity. In addition to the 23 galleries, the museum features exhibitions, a Children’s Museum, a restaurant, a boutique and a café. 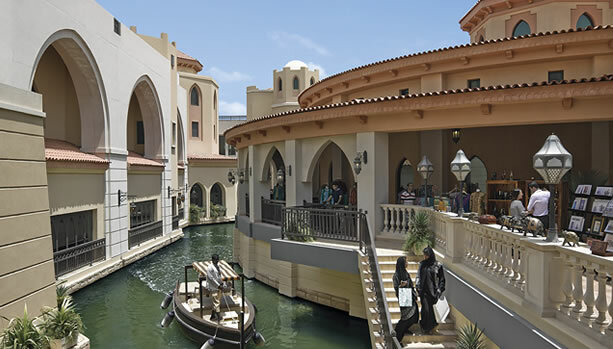 Shangri-La Hotel, Qaryat Al Beri is connected by a winding waterway featuring Arabic traditional boats, known as abras. You lie back, utterly relaxed, while the abra slowly meanders throughout the verdant garden scenery. The boat drops you at the hotel’s souk, a traditional Arabian market. Then you browse through the enticing variety of shops selling traditional artefacts, paintings, jewellery and clothes. Finally, a post-shopping stroll along the private beach finds you just in time to catch the sunset. Majestic orange rays spread their soft light across the glittering canal and the white beach, entrancing your soul. We hope that both you and your loved one enjoyed our Abu Dhabi City Guide Top 5. We wish you an unforgettable Abu Dhabi Babymoon and a happy and healthy birth.